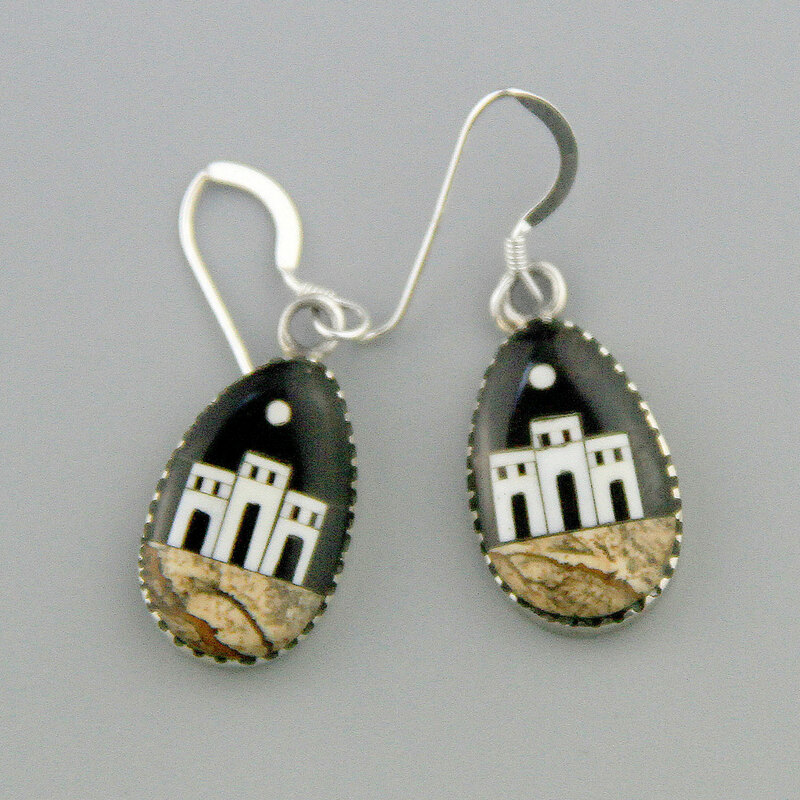 Wonderful quality, sterling silver handmade Native American inlay earrings. 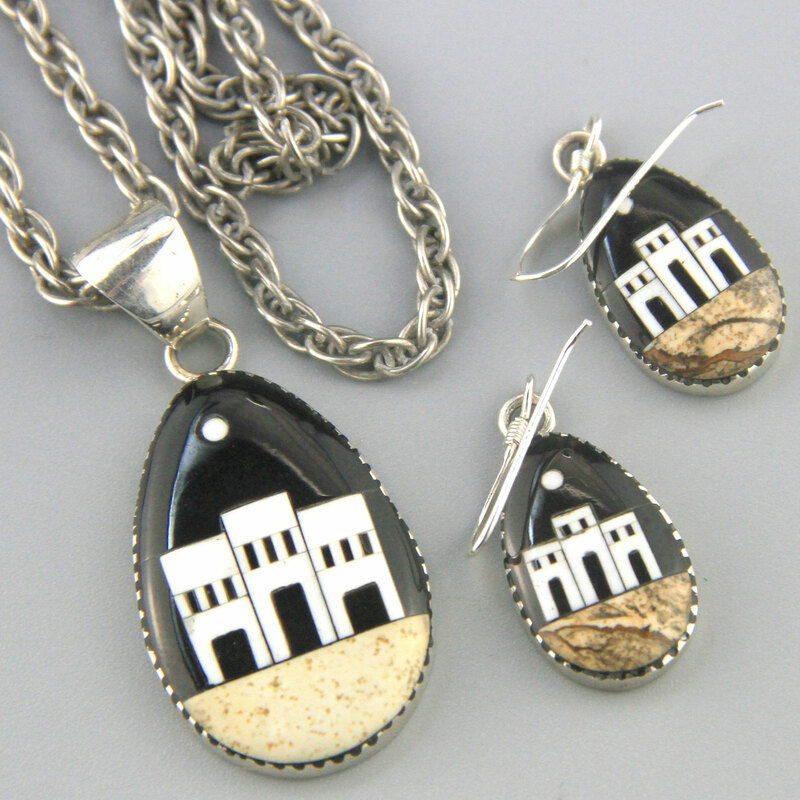 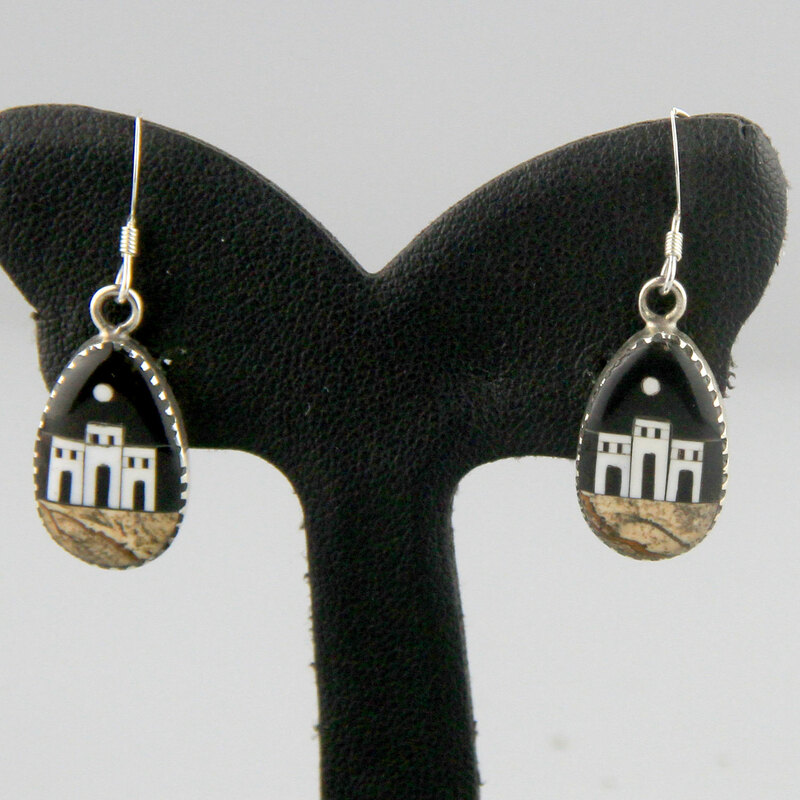 These are a beautiful teardrop pueblo night city scene, houses and a moon stone inlay in onyx and jasper. 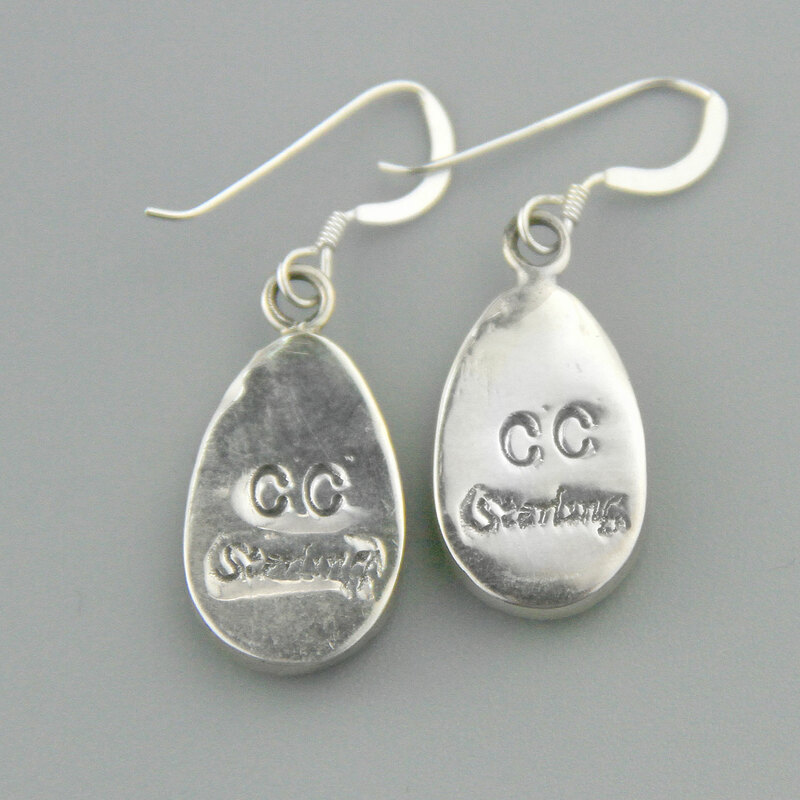 Sterling silver, nicely made, handmade circa 1990, there is a matching pendant available (as per last picture, available in a separate listing).